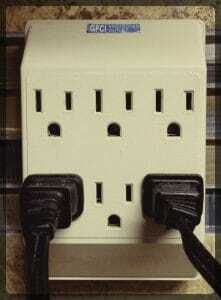 Everyone at my house recharges their devices at a central location in our home office. One morning a few weeks ago, I was working at my desk and heard buzzing behind me. Curious to see who was texting so early, I took a quick look. 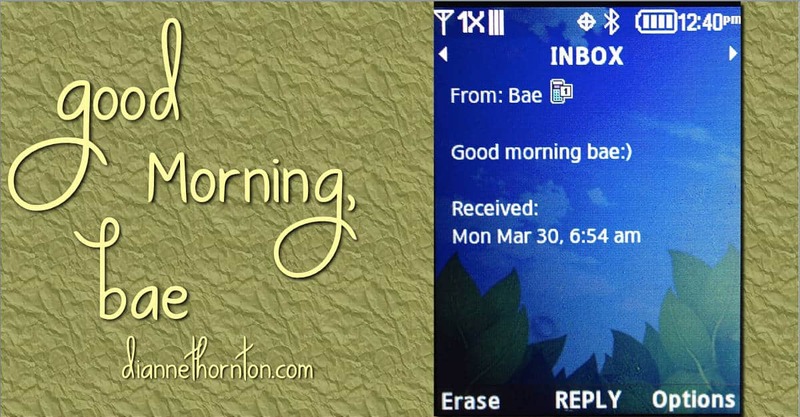 One of my daughters had received her morning greeting from her boyfriend. 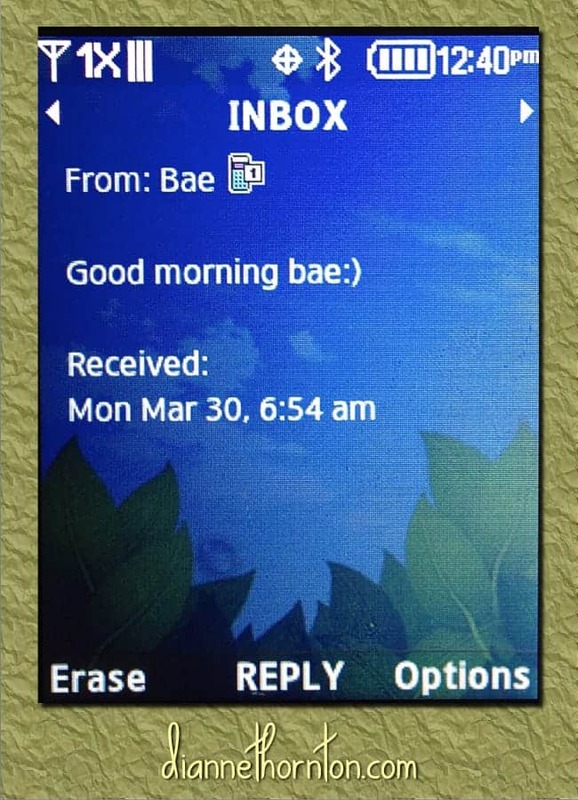 The short message on her home screen simply said, Good morning bae. Smiling, I returned to my work. When my daughter came downstairs for school, I told her I had seen the message, and said something about “best awesome ever,” which is what I thought bae meant. (Maybe it did at one time. Not anymore!) She informed me that now bae means before anyone else. Then she said, Really, God is bae. Smart girl. I’ve heard her morning text alert many times. Good morning bae are the first words my daughter reads every, single morning. How sweet! She knows how special she is in the eyes of this boy. 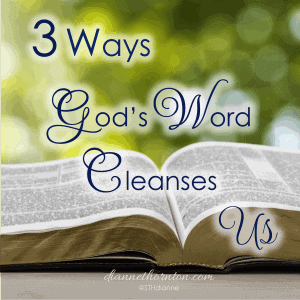 I just finished a study through the book of Colossians, and the word all has my attention. Did you know that in the New American Standard translation of the Bible, the word all is mentioned 32 times in that book? Four small chapters, only ninety-five verses, and the word all is used in almost 30% of them. Some of my favorite verses are in Colossians. Did you catch that? Verse seventeen says, He is before all things! So bae can mean, before all else. It’s funny how our culture creates a turn of phrase, or thinks it does; when in reality, the truth was there long before our culture found it. In Scripture, before all things means that God existed–or has always existed–before anyone or anything else. He has first place and is best in all things. When my daughter says before anyone else, she is referring to the place this boy has in her heart. Is God before all things in my life? Even first thing in the morning? Does God have first place in my heart? Have I told Him so? I love my quiet times. I treasure them. Lately, though, it is taking more and more mental effort to get there. My coffee pot is set up to turn on as soon as I come downstairs, but it takes about 10 minutes to get ready. During that time, I am on my iPad checking social media. Once I pour myself a cup, it’s difficult to click away from Facebook and start up my Bible app. I get there, eventually; but that is not the way it used to be. B.i. (before iPad), I did not touch my computer before I had my quiet time. I held a real book in my hands, and read a brief thought from someone like Elisabeth Elliot, as a way to move my mind from sleep to awake and in the direction of the Lord. I held a real Bible in my hands and wrote in it. It’s hard to write in an electronic Bible! In reading through this, my daughter asked me why I don’t have the coffee pot turn on automatically. My excuse? It gets unplugged all the time, and I have to keep resetting the clock–which is difficult to read. Her suggestion? Take a look. Lol. This is the type of solution I give friends who are struggling with their quiet times. (Thank you, Daughter!) If God truly has first place in my heart, doing something like this is no big deal. When we love someone, we set aside time to be with them, to talk with them, to tell them how we feel–every, single day. After almost twenty-five years of marriage, when Tim tells me he loves me, I still get weak in the knees. 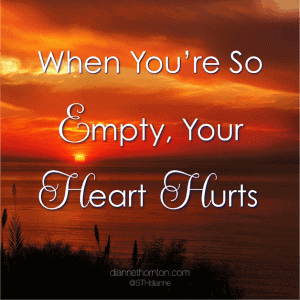 Although my love for the Lord is not romantic, I am certain His heart warms when I tell Him how much I love Him. I’m thinking I need to change the way I recharge–like going back to the way things were before technology took over my mornings. It’s going to be tough for me. I’ve become accustomed to the convenience of my iPad. But I’m not so sure it’s working for me. I want my relationship with the Lord to be bae–best awesome ever. I want Him to be bae–before all else–to me. What about you? When you wake up, do you say Good morning, bae, to the Lord? Do you give Him part of your morning? Do you tell Him how much you love Him? What needs to change in your life so that you do? Very thought-provoking post! Thank you for sharing! Visiting from Holly’s place for Testimony Tuesday. 🙂 Blessings on your week! Thanks, Kate. Teens have a way of making you think and re-think!! I love this post…especially love “I want my relationship with the Lord to be bae–best awesome ever. Big grin, Jennifer. Me, too. Thank you, Dianne. This has put a smile on my face and much food for thought in my heart. So good your daughter made that suggestion for you. 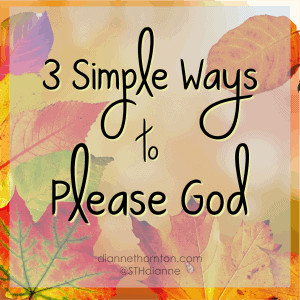 I, too, want God to be bae – before all else, and my relationship with Him to be bae – best awesome ever!! He is so very good! God continue to bless you richly, precious sister in Christ. Angela, I love it when our kids become the teachers. 😉 Glad you enjoyed the story. This is Just. So. Good. Wow! What a great message for the rest of the week… I’m going to be adding a sticky note to the top of my Bible that just says Bae… it sits by my work station… and it’ll be my reminder that He’s waiting to be the first thing I spend energy and time on, because He does that for each of us! I’m so happy that you have something to keep with you! Blessings on your week, Christine! Love you post, Dianne! You’re shedding light on BAE for me! (We live in Turkey, so I’d heard it, but wondered what it meant. I know what you mean about God FIRST thing in the morning. I do not own an ipad, so I still use a devotional and a Bible in my hands. Most mornings I make a commitment to God’s word first before turning on my computer. Once in a while I check something while my water for tea is boiling–like this morning, to look at notification on my son’s college application! But I really sense it influences me. So I try to LITERALLY put God first! 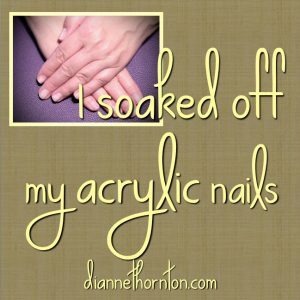 “Scripture before scrolling,” as Jennifer Dukes Lee says!